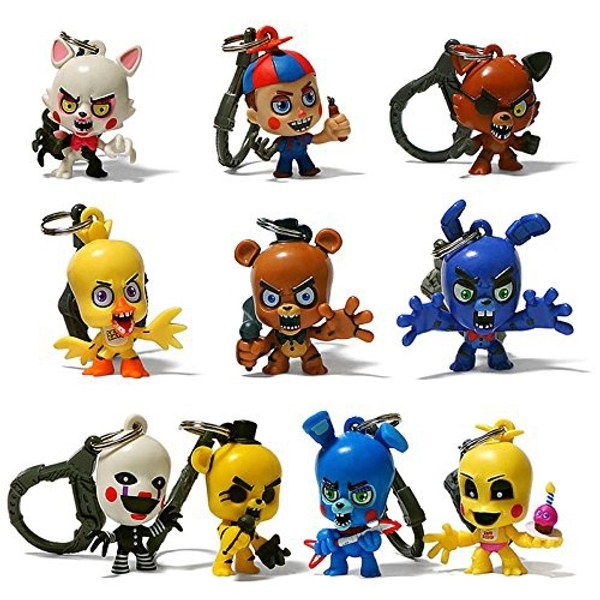 Five Nights at Freddy's Hangers Toy Blind Pack can be used as Backpack Clips, Key Chains or a Collectable Figures. Collect all 10 of your favourite characters including Balloon Boy, Bonnie, Chica, Foxy, Freddy, Mangle, The Puppet, Toy Chica, Toy Bonnie and the hard to find Chase Figure Golden Freddy. (Each sold separately)These hangers are a must have for all Five Nights at Freddy's fans!